Mamas, over the past while, I’ve really been in the weeds. At work, things have been busy and stressful. At home, we have been fighting colds while trying to keep up with our household tasks and our active toddler. And then, of course, I’m currently growing a human. This week, after a particularly rough day at the office, I told my husband: “If I was served on your toast at a restaurant, you would complain that they stiffed you on the butter.” I am spread pretty thin at the moment, guys. Of course, this feeling won’t come as news to my fellow working moms – or, frankly, to any mom out there. No matter what our circumstances, every mom I know has many, many balls in the air at any given time. As a full-time working mom, most of my week is spent in the office. My mental energy has to be focused on the dynamics, challenges and giant, never-ending task list of my professional life. The nature of my job is such that I am the lead on, and need to be on top of, a large variety of projects on a continuous basis. I am the president of a lot of stuff. Then I come home, and I want and need to be completely present and focused on my family life. There’s a giant, never-ending task list here too. To me, it’s even more important, and I want to give it the attention and energy it deserves. And because I only have a few hours each day with my son and husband, I want to make them count. I want to be the best possible mom and partner I can be. I’m just so tired. Recently, it’s gotten me thinking about the work-life balance and personal/professional boundaries. In times like these, when I’m in the weeds, I feel like my worlds are colliding. They’re not balanced at all. Try as I might, I’m not always able to leave my professional to-do list at the office. 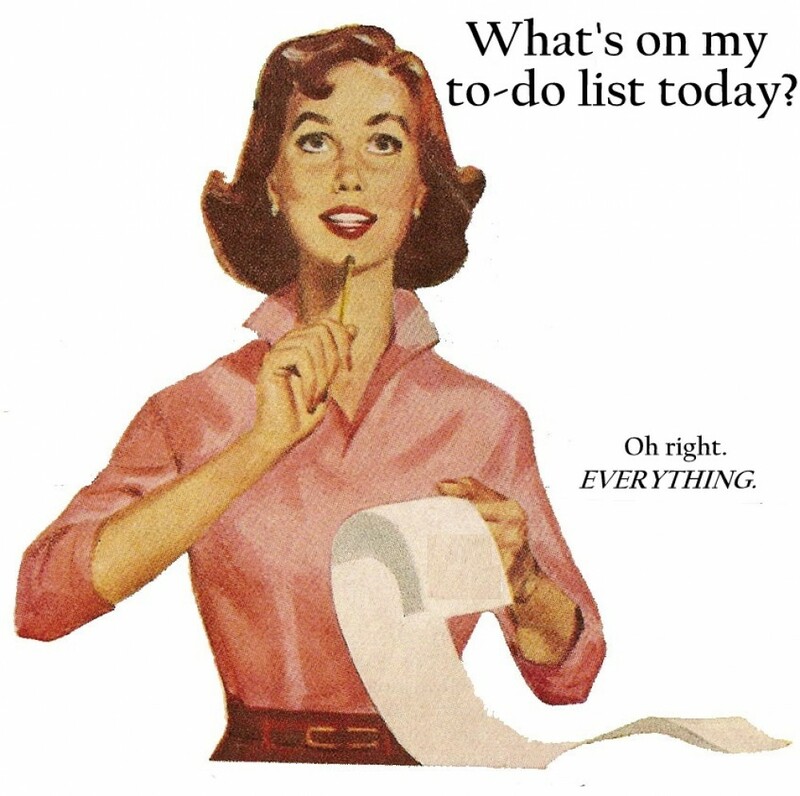 It still runs through my head, joined by the tasks from my home to-do list, until my brain becomes so full of worry about all the things I still need to do that I just want to take a nap. I feel as though I’m standing between two tall towers of paper, the weight causing them to lean perilously towards each other, ready to collapse and bury me at any moment. I want my kids to remember me as a loving, joyful, playful, positive person in their lives – a person who made those few hours each day count – not as a person running around like a chicken with her head cut off. As working moms, we’ve heard a lot about finding the work-life balance that works for us. But most of that discussion focuses on the number of hours in a day, on where and how we are physically spending our time. What about our mental time? Even when we’re physically at home, how do we keep the stresses and pressures of the work day from infiltrating the emotional energy we are giving to our families? I know this is not a question with an easy or fast answer. And like so many things in parenting, it has more to do with working on myself. But this is where I’m at this week, mamas. It’s real and it’s hard and I know it’s where many of you are too.